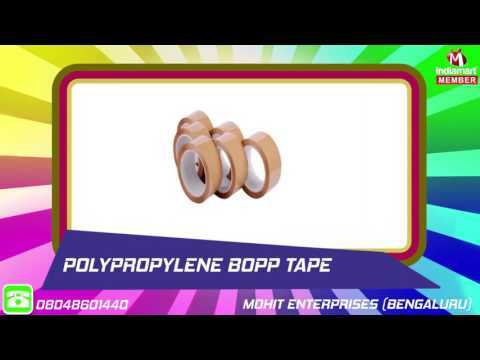 Our company Mohit Enterprises, Bengaluru was incepted in 2014 and since then, we consolidated on our vast industrial as well technical excellence to penetrate into the distant and diverse areas. Our mentor, Mohit Jain successfully navigated the company to a special position in the field of manufacturing of industrial tapes. Our product line includes all kinds of industrial tapes manufactured for different purposes. We offer a vast array of products like Floor Marking Tape, Masking Tape, BOPP Tapes and more.